Well, who doesn’t know about Google? In all probability, you may have landed on this post because of the Google SEO and AdWords. One of the biggest players in its domain, it has offices in more than 40 countries across the globe and an internship in Google is one of the most prestigious internships for the college students all over the world. What are the types of internships available at Google and who are eligible to apply? Google offers Technical internships and Product Management internships to students pursuing graduate, postgraduate, and Ph.D. degrees in Computer Science and other related fields. For graduates, normally, 3rd or 4th year students are selected. If you are from any other stream but have sound coding and algorithm knowledge, you have equal chances of getting selected. Google summer internships for MBA students are 10-12 weeks long and are offered in a range of functions across the company. Students who have completed 1st year of their MBA can apply. You need to apply early on (October to January being the most optimal period), as most of the summer internship positions at Google are filled before February. Applying online on the Google internship portal. You will need your resume (in PDF) and transcript. Ask someone in Google to refer you. You can find them on LinkedIn or Facebook. This will only get you past the resume screening process. After that, the procedure is same for everyone. Find a previous googler (Xoogler) or a former intern and ask her to provide you the e-mail address of the HR. Mail the HR directly, clearly stating your purpose, with a well-crafted cover letter and resume. It’s not exactly an internship at Google; it’s a global program sponsored by Google where students work on the projects with open source organizations (previously selected by Google) independently under some mentorship. Students contact the mentor organizations they want to intern with and submit a project proposal. It’s a virtual aka work from home internship program. Your resume and transcript will be evaluated by the recruiting team, and if you are deemed fit for the role, you will be participating in a series of technical interviews – some over the phone or Google+ hangouts and others in person at Google India offices (Gurgaon, Mumbai, Hyderabad, and Bangalore). Mostly the interviews are focused on Data Structures and Algorithms along with some general coding questions. Some of the ‘must-know’ data structures are – Linked list (Single and Doubly), Stack, Queues, Heaps, Hashing, Binary Search Tree, Basic Graph Traversal and Shortest Path, Tries, and Bit Manipulation). Hiring Committee: Members of the hiring committee review the feedback from your interviewers, your resume, and other related documents. If you appear to be a strong candidate, your information is placed in a pool for host matching. Host Matching: This is the step which requires you to have patience. There isn’t really any way to speed up the process, unless you know people whose teams are looking for an intern or have a competing offer. If you find a potential host, it’s followed by a couple of telephonic interviews which are generally non-technical. The host just tries to determine whether you would be a good fit for the team (and vice versa). For Google Summer of Code: If your application is accepted, you spend a month integrating with your organization prior to the start of coding. You then have three months of summer to code, meeting the deadlines agreed upon with your mentors. Google generally offers a stipend of 30K/ month to interns along with free food and team outings. Competitive Programming: It’s probably the most straightforward and easy way to prepare for and crack the technical interviews of all top-notch tech companies. A good rank or rating on CodeChef / TopCoder / CodeForces will help you to clear the resume screening which is often the biggest hurdle for most of the candidates. A good performance will not only help you in technical interviews (by improving your basics of Data Structures and Algorithms), but you will also get good referrals as the referrer can quickly verify the claims. Do your research: Most students don’t get matched to a host because they are too rigid while filling the questionnaire. You need to do a bit of research about various Google products and the teams behind them for a better possibility of finding a team which resonates with your interests. A couple of pro-tips: Get used to coding on a whiteboard, in Google Docs, and get comfortable talking about coding over the phone. You can also watch these two videos prepared by Google recruiters themselves on Technical interview tips and Non-technical interview tips. You can also read about the exhilarating experience of Anushka while she did her summer internship at Google. Now that you have an insight into Google’s hiring process, go ahead and apply to that dream internship of yours! You can also look for similar programming internships on Internshala. Editor’s note- The information is based on the interviews of certain ex-interns of the company. Readers are advised to go through the Google website for latest information. Please visit here for the internships in Google. Yes , I want to do internship with google. Please visit http://upcomingengineer.com/internship/find-engineering-internship/ for achieving your goal for the internship you are looking for. Is there any scope of getting into a google internship for a student persuing msc in physics? Please visit here for the internships in Google. Hope it helps. Please go through the article for all the details regarding how you can secure an internship at Google. hello , iam done pursuing degree in bio science which is a 3 yr academic course and i want do an internship in google as iam good with some techical skills even though iam from a science background can anyone help me wheather i will be eligible or not for google internship and how will thw process be for gradutes like us please . If you have good technical skills which have been mentioned in this article, then you are eligible for the internship. Also, there are many other profiles available in Google for internships like marketing etc which are non-technical. You can even try for those. Having different training programs under your belt and experience with some internships or projects in the past will give you an edge during the resume screening process. Also, if you have a good rank in competitive programming sites, it will be a huge benefit. Thanks for your answer…It helps me a lot…. :)..
Hello, I have completed M.Com and I have worked for a firm as a service adviser and customer support . I want to know whether I am liable for internship in Google. Im styding ccna & certificated ethical hacking can i get internship from google & Microsoft? I am pursuing 2nd year in MMS (human resources) i want to do internship in Google (Mumbai) in HR department. How should I apply for one. Okk, i want to know whether the last date of applying internship in google is passed or not.I am in 3rd year .Also , if dates have passed what are my options .What kind of strategy can be considered to be best for the remaining time before graduation, Also , can you name some of the best companies for c.s internship? I am a student of Integrated MBA (BBA+MBA) ,I am into my final year and I need to do an internship with Google! What should I do for that and what is the procedure for that ? Plz help me regarding this, my internship period is from May to July ,2017 . After that I have my colg to do. Thank you for writing in. Please refer the above article for the details regarding the internship in Google. I am Rajat Sharma, i am graduated and have done digital marketing course, can i get internship in google ? Dear Sir, l want to any type of job with Google, I am in a big trouble to think about committed suicide,I am an unemployed 34+ and also hypothecated of a big amount with my own sister’s husband, he gives me that amount for invest in share market,then I given that to my friend for the purpose invest in share,but my friend Cheets .I have nothing to return to my sister…. Please sir help me,I want to return thous amount. I know that,I am only 12 th passed and one Two years vocational stream courses,on computer assembly and maintenance,it doesn’t be the sufficient eligibility to get any job at Google,But I request to you,please,give me any job like cleaning office, peon etc.If I got the job I alive or live. Thanking you… Subrata Bagchi,from India. hi i am sandeep. i am studying btech 2nd year in ECE. i want to get internship in google? what skills required for doing internship in google? I am pursuing my B.Tech information technology 2nd year, when should I apply for internship and what r the skills they would expect from my part. If you have good technical skills which have been mentioned in this article, then you are eligible for the internship and can apply now. sir i’m 3rd year b.tec student from rajasthan ,no doubt i’m a weak student but in practical work i’m good ,if i apply for internship in google and select, i want to know then they will teach about codeing and different languages or we have good knowledge in codeing and languages before applying . Thank you for writing in. You need to have a good knowledge of the languages before applying for the internship. Hi, I am a b.tech first year student , i want to do internship in google (btw am going to second year) , for what all internships i can apply and whats the process. what all things i have to study, plzz suggest some books or matter or sites to be visited for preparation of same. Thanks for such important info, it seems the right way to reach out the biggest MNTC of world. I am Shikha Gupta working in a reputed eye hospital in Indore,i have done Bachelor(Biomedical) as well as MBA (HR) and have more than 6 years of experience in same field want to join internship so may i apply for intern? 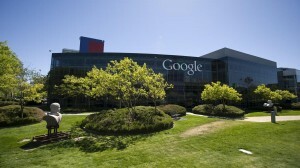 Hi I am Riya Shah, I am looking for a finance internship at google. My name’s is sabir David and I’m presently doing my Mech engineering in BEC I’ve finished my 1st year…. I wanted to k No if I have any opportunity of getting my internship at Google.. I am Emma, i am graduated and have done computerized advertising course, would i be able to get entry level position in google ? Hi I’m Mutturaj . I Was completed BE 2016. So I can interesting to Attend the Google internship. How can i apply ? So please Guide me . I’m a student from India I would like to get a internship with Google.I am studying computer science.plz help me to secure my future. You may go through the following article to gain an insight on the application process of Google. if anyone,have to share anything with me please have my email id:kamalnathlp26086@gmail.com.thank You. can a first year student, having knowledge of programming apply for internship in google? am shankar currently studying in MBA. i want to know about this and have interest to do work in internshi so i want to know how to get..
for btech students ….is it necessary to apply for a google internship during their 3rd year…cant they apply for an internship after 3rd year ? Hi…..I have completed my grauduation in BE(CSE) 2017 , is there any chance i can start my intern in google . Iam want to do internship in Google can you please help me? Hello…. I am a 1st year B. Tech student… Can you please say when should I go for a google internships, in the coming year? We do not have any information regarding this currently. You may visit Google’s official career page for details. Hello Google,I am jaxay prajapati I am studying in B.sc(it) and and I do database management system so I want to do intership in google.so,how I can do intership in google.please give me reply fastly…. plz tell me where to get contact information of HR in google ,and also where to get xoogler contact ,so that it will be easy to forward my apllication as per your blog . We cannot help you with the contact details of Google. Please visit their official careers page or try to get in touch with a Google employee via LinkedIn. I am pursuing BE , Cse branch and it’s my 3rd year now. I want to do internship from Google. What is the procedure or site for getting internship from Google. Please help me. If u do so I will be thankful to you. Please go through the above articles for these details. Now I am pursuing B.Tech 4th year , i have some backlogs, can i eligible to apply for google internship which is going to be in 2019.I want to settle in 3D gaming design domain. Is this internship helpful for me? I am from CSE background, interested in designing more than development.Please respond to me ASAP.And i am from INDIA. We do not have any information currently regarding the eligibility criteria for Google internships. I’d suggest you visit their official careers page or get in touch with the HR executive at Google for details. You can also look for game design internships on Internshala here – http://bit.ly/new-registration. i am ECE student pursuing my final year B.E. what are the technical skills i need to learn to get internship in google?? will i get projects related to ece domain or purely software? We do not have any information regarding the skills Google looks for while hiring an intern. I’d suggest that you visit their official careers page or try to get in touch with the HR executive for a clarity on this. You can also look for electronics engineering internship available on Internshala by registering here – http://bit.ly/new-registration. We do not have a clarity on the eligibility criteria for internships at Google. I’d suggest you visit their official careers page for details. For understanding the application procedure, please go through the above article. I’m searching for a internship in google in India . I’m doing my mba first year . Can you please help regarding where should I apply. I am afraid, currently, we do not have any internship at Google available on our platform. For information related to this, please visit their official career page. However, in case you are looking for internships, please register on Internshala here – http://bit.ly/new-registration. Once you’ve registered and logged into your account, you may click on the ‘Internships’ button on your dashboard to view all the internships available on the platform. You can filter internships according to your preference. Hello Sir/ Madam, I am lipasa, this course is certification course or without certification course? This is an article which has been posted on our blog to help students who want to work as an intern at Google. However, Google and most of the organizations on our platform provide a certificate to students for interning at their workplace. It is one of the perks of doing an internship in an organization. In case you are looking for internships, please register on Internshala here – http://bit.ly/new-registration. You can filter internships according to your preference. Your article is very useful and knowledgeable post.